In all climates, geographic locations and cultures, a door is a major, preferred and often the only source of illumination, compared to a window or other openings. The degree of shutter being opened or closed provides easiest control over both the level and direction of illumination. Besides this, the door shutters, in the form of lattice, glazing, louvres, windowing, etc., provide more and easily maneuverable options for illumination control. 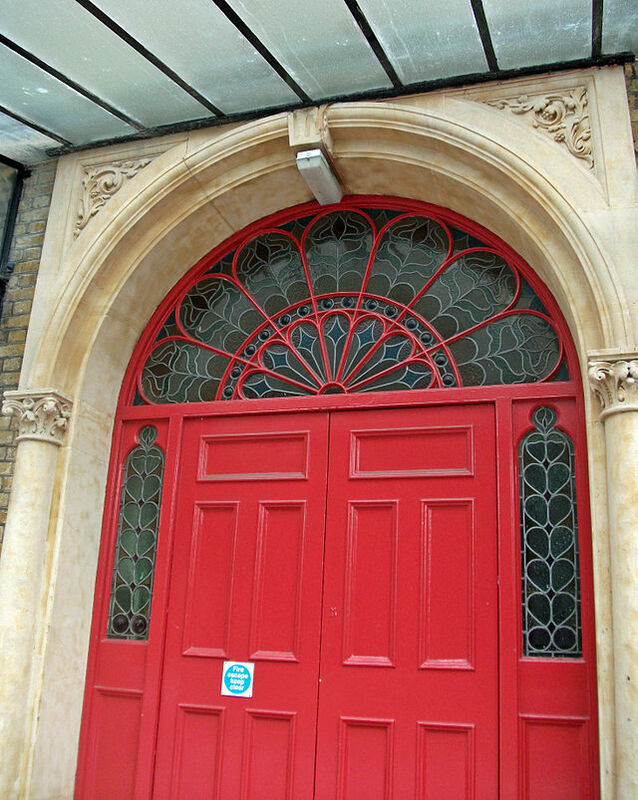 The form and scale of the door such as tall, wide, large, small, flush or deep set, etc. offer other means of administering the illumination. 6 by scheduling and siting of appropriate activities in or out of the door surroundings. An external door of an enclosed space is very relevant for illumination and ventilation. The illumination is substantially determined by the Sky Component or SC, which checks the light reflected from the sky directly into a room. Any overhang or side projection reduces the sky component. The other major factor is the Externally Reflected Component or ERC, which depends on the quality of surface (texture), colour and reflectivity of the foreground of a door and other side areas (such as side walls). The third important factor is the Internally Reflected Component or IRC. It consists of light reflected from the internal surfaces of the room. Adjustment of IRC is very helpful in controlling the glare through the open door (Glare is the high difference of light between the opening and its surrounding surfaces). The Internal Door is not very useful for illumination, unless the other side of the interior door (of room, passage, etc.) can contribute some reflected illumination. Such ‘borrowed’ illumination may be sufficient for ‘passive’ activities or ‘less-used’ areas like stairs, passageways, etc. However, in very warm climates and coastal areas like the Mediterranean or Kerala, where external brightness is very high, an external door brings in radiant heat along with light. This is controlled by placing doors in verandahs or with deep awnings. Doors with louvres are widely used in Mediterranean climates to reduce the brightness and glare. Deep-set doors are also created by placing doors on the inner edge of a thick wall (where possible) or by creating deep portals. Illumination has a direct bearing on the door orientation. 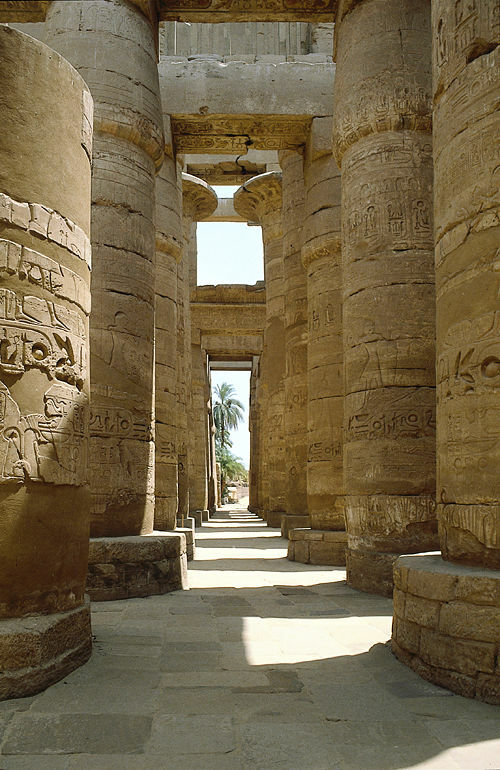 The main doors of early Egyptian buildings were East facing and the Sun god was revered. The East and West have been prime directions for illumination in many historic places of worship. With the ascent of the clear storey openings or entire glass curtain walls the importance of a door as the chief illumination element has reduced. Illumination and the size of a door have a direct relationship. A taller door is more effective then a wider door in illuminating deep interiors. Monumental buildings have tall doors not just for architectural grandeur but its was the upper section of a tall door provided the deep illumination during a crowded ceremonial function. In Egyptian temples the upper section of the door was supposed to bring in the Sun god with the first rays of rising sun. The tall door was unmanageable for shutter mechanisms and useless as a passage. The upper section was either left without a shutter or latticed to form a ‘transom’. It was more practicable to leave a transom or a rose window than load a wall over the door lintel. The illumination through a door has also been enhanced by providing side lites or side-lights and within the door lattices. Panel doors of Greek buildings were partly latticed in the upper sections, or had additional latticed shutters. Side lights or side windows increase the perceptive width of the opening, decrease the size of the shutter and reduce the structural span of the lintel.